Visit us in the Mission, Pac Height, Burlingame, and Palo Alto. PLEASE NOTE: Delfina only accepts limited reservations on OpenTable and is walkin-only after 6pm. For more tables and availability or for parties of 7+, please visit Delfina's website or contact us directly. Excellent pizza. I liked their selection more than I liked their outlet in SFO. The place was quiet on Wed lunch. I had Napoletana pizza without the anchovies and my friend had the pie with arugula & prosciutto. The slices we're gone pretty quickly. The appetizers & salad looked good, though we didn't try any. Food and service were great, will definitely be back! Ate lunch here 2 days in a row and was not disappointed. Clam pie with extra clams and anchovies stood out. Regazza and Tri Colore salads were well done. 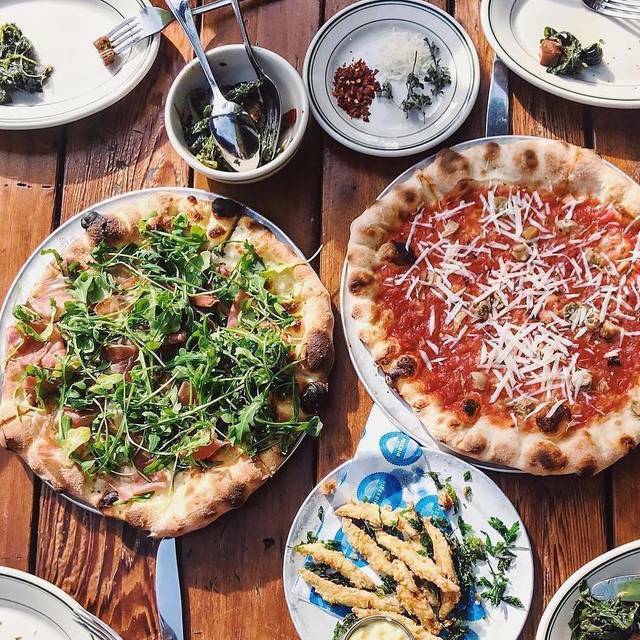 Very good food, including great pizza. Service was awful. One person in our party got his pizza 30 minutes after the rest of us. No recognition of bad situation by our server. Not up to rest of the Delfina restaurants standards. Service was polite but follow thru was bad. The pizza was underwhelming (it barely had cheese). Not as yummy as the ambiance or price would imply. 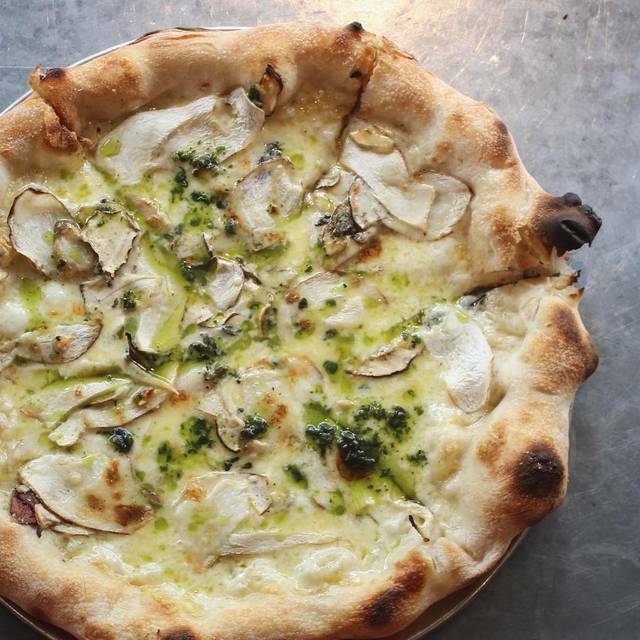 Pizzeria Delfina is one of my favorite restaurants in Palo Alto. It is a go to for everything from special occasions to casual get together‘s with friends. Also great for a table of two or large group. Their pizza is amazing! As are many other items including the meatballs, the vegetables, the salad ragazza etc. they also have a solid wine list and some fun specialty cocktails. Typically friendly and efficient service. The back patio is the best.. highly recommend! Superb pizza. Stopped in as I was on EST so it was early out West and I saw the reviews. I started with the Greek salad which was a 10; they grilled the romaine, which was perfect as it combined with the fresh tomatoes, olives, feta and a superb dressing. Perfect salad. 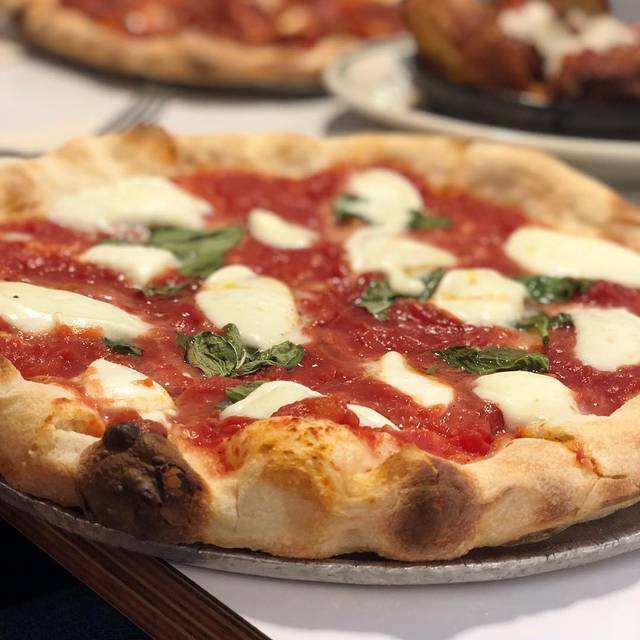 Then the Margherita came; I have never had a better one as the red sauce and fresh ingredients were a great combination. As the reviews have said, this place is stellar. Highly recommended. Enjoyed a wonderful business lunch with clients, had the pizza, meatballs, and also the chicken, all of which were delicious, as always. Thanks! 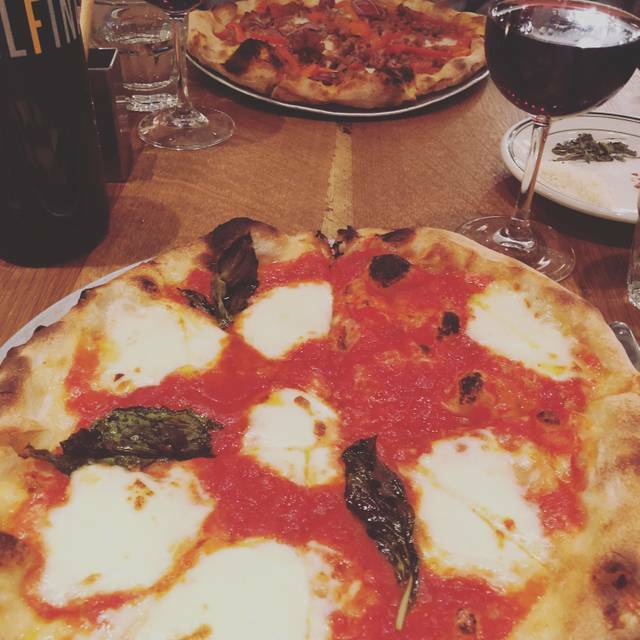 Although I confirmed our reservation via open table, when we arrived at Pizzeria Delfina they were not aware of our reservation via open table. When I showed them the confirmation on my phone they found a table for us. Other than than that the food and service was outstanding, love the Salad Tricolore and the Pizza Neapolitans.